In the next few years, the China’s window door and facade industry will gradually enter a relatively flat development period. The market gradually reveals two major trends which support the total market volume to remain stable. China's new rural construction and old city transformation provide nearly half of the market share of China's window door and facade industry every year. From the perspective of population development, the dividend of the "two child" policy will gradually appear in ten years, increasing the demand for living space. And, the demand for moving to a larger size house is obvious, which drives the rapid growth of urban landscapes and urban functional public buildings in the cities. Environmental protection and energy conservation have become the development theme in China. Green consumption is the dominant concept in the leading construction consumer market and has created huge business opportunities. To meet the needs of green consumption, the industry players now focus on the development of high-performance and high-tech ecology, not only from the architectural appearance, cost consideration, but also the overall design and ecology of windows, doors and facades. 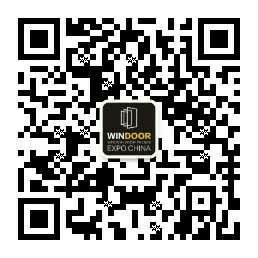 As the ultimate event for window, door and facade industries in China, Windoor Expo 2019 with 700+ international and local exhibitors will showcase 23,000+ latest products and solutions on facade system, window door system, aluminum profile, building glass, equipment, hardware, structure sealant, sun shading from across Asia and the world. Up till July 2018, over 350 companies have confirmed their participation at Windoor Expo 2019 taking place in Guangzhou, China during March 4 to March 6, 2019. Featured exhibitors include: AKZONOBEL(CHINA), ASSA ABLOY GUOQIANG, DOW (SHANGHAI), DSM (CHINA), FISCHER (TAICANG), GALUMINIUM GROUP, GOLDEN GLASS, HAFFNER (CHINA) GROUP, HILTI (CHINA), HORST KLAES GMBH & CO.KG, ITALY DECORAL SYSTEM, KINLONG HARDWARE, KINGTOOL ALUMINUM DOOR & WINDOWS MACHINERY, PRESS METAL, SANVO CHEMICAL INDUSTRY TECHNOLOGY LIMITED, SHANGHAI HUILI-TUVGAL SHEETS, SIEGENIA-AUBI (BEIJING), SIKA (CHINA), SULZER MIXPAC CHINA, TECHNOFORM GROUP, TIANCHEN ALUMINUM MACHINE, WEIYE ALUMINIUM GROUP, XINGFA ALUMINUM and many more.